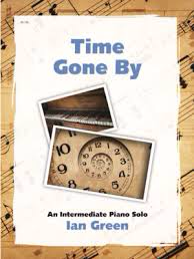 Ian Green is excited to have various pieces of music published through Debra Wanless Music. To order your copy of the books on this page, please click on the cover art for the book OR on the title within the description of the book. Either direction will take you to the ordering page on the website of Debra Wanless Music. 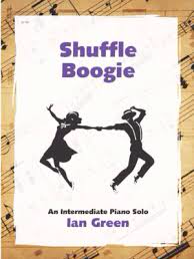 Ian enjoys writing original music for many special occasions. To inquire about a specific project you would like to commission, please fill out the form on the Contact Us page. 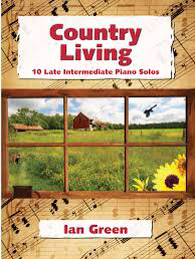 Country Living is a collection of 10 late intermediate piano solos in a wide range of styles. This collection is filled with inspiring and entertaining materials for all ages and interests. Titles include: Barnyard Boogie; Black Cat Rag; Dancing (country dance-style); Grandma’s Lullabye; Henny Penny Strut; Our Dog Rex (character piece); Home (ballad); Pastures (romantic); The Baseball Game (etude); and Tractor Boogie. Ideal educational, performance and quick study material.